It´s time again for me to show you a little bit of stuff I had on my workbench lately. 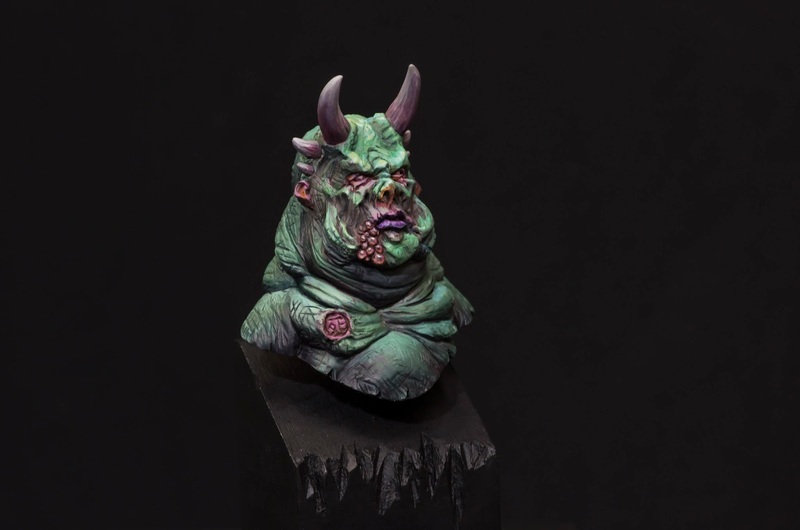 For this post I have chosen a bust I just grabbed out of our cabinet in the studio (actually it is a demonic bust, sculpted by our friend Stefan Niehues-Ellermann, but I´m not sure if this bust is available online), because I needed a mini to do some color experiments to calm down my brain cells after Alfonso´s great workshop, which went like a tornado through my brain. So this is No.1 of my color experiments, a No.2 will follow soon, and maybe later some more, as you never can do enough experiments. And it´s a funny way to spend the time painting, because when I do those experiments, I don´t make myself the pressure that it has to work and that everything has to be painted super clean (well, I probably never do this, haha). It is more about trying and testing and failing. Why? Because that´s where you get your progress from. So be brave - and if you fail at first that´s ok! Because if you recognize that something doesn´t work just stop, and think about what it is and why it doesn´t work. Then correct it and you will have learned something new. 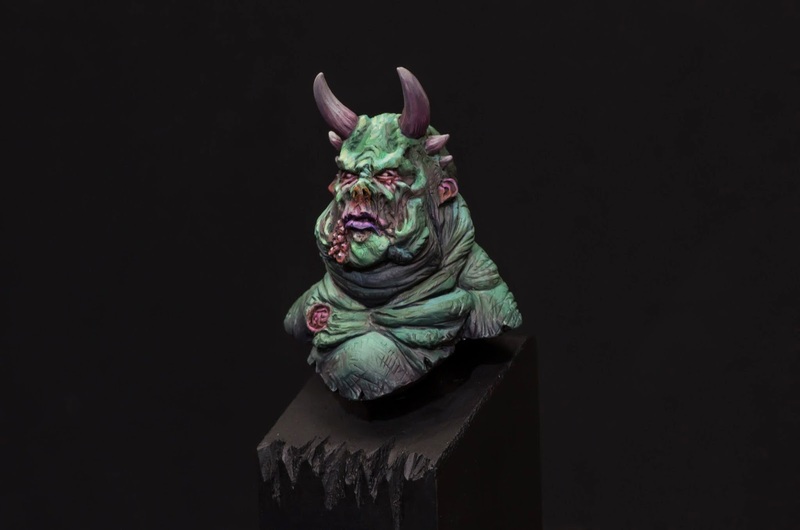 So this bust isn´t painted really clean. But I learned a lot while painting on it. And that was my goal therefore. Well, I hope you like the bust even it was just a learning piece for me. It really has a cartoon-feeling to it. I was searching for how to achieve that look. I'm looking forward to seeing more of it.